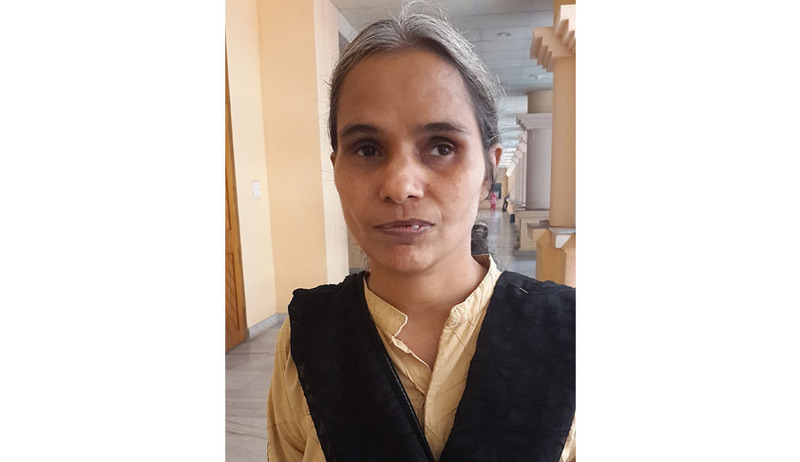 The High Court of Kerala has reserved its judgment in a writ petition filed by a visually-challenged woman challenging the denial of employment by Kannur University. Prasanna Kumari ES, who is a post graduate in law, approached the High Court after she was allegedly denied the benefit of age-relaxation by the university during faculty appointments. Arguing the case as a party in person, the 40-year-old petitioner claimed that she should have been granted age relaxation of 10 years in accordance with the rules framed by the state government in tune with a central legislation, Persons with Disabilities (Equal Opportunities, Protection of Rights and Full Participation) Act of 1995. However, the university officials contended in the hearing before justice AK Jayasankaran Nambiar on Thursday that the University cannot extend the benefit of age relaxation to the petitioner, Prasanna Kumari as the job was notified or advertised prior to the rules being adopted by the University. The rules framed by the government would only become applicable to the university when it is adopted by the syndicate of the university. In the specific case, the resolution adopting the rules that allow age relaxation was passed only after the job was notified, submitted the University before the court. The University further contended that age-relaxation and similar benefits applicable to disabled persons in employment is only applicable to posts that are specially identified for them, as specified in the 1995 Act. Hearing in the case came to an end by Thursday evening and the court has reserved judgment in the matter. The Court is expected to answer the critical issue whether autonomous institutions, such as the university in question, are bound to follow Constitutionally enshrined principles notwithstanding their failure to adopt the rules framed by the government. Whichever way the Court answers this issue, the judgment is expected to have a profound impact on several similarly placed disabled citizens as the petitioner in the instant case.